Jan. 14, 2016, 12:11 p.m.
Users can subscribe to the service here or by sending Bild Ticker a message. Starting Friday, Bild will launch a second news ticker via Messenger, providing news about the German version of the reality TV show I’m a Celebrity…Get Me Out of Here! 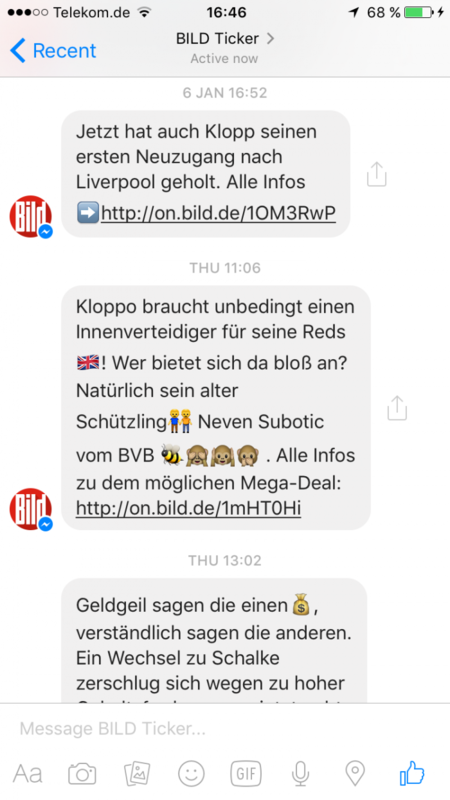 For now, the content delivered via Facebook Messenger is also posted on Bild’s various other platforms and isn’t exclusive to Messenger. Bild wouldn’t disclose how many users have signed up, and it’s experimenting with the frequency of updates. Facebook started letting developers build messenger bots very recently. 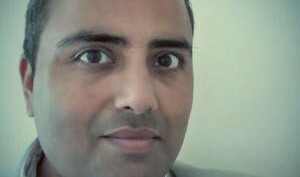 In addition to delivering news, bots could, for instance, provide customer service or help users book travel. A Bild spokesman told me he believes Bild is the first publisher to send Facebook Messenger updates with Facebook’s blessing, as evidenced by the fact that Facebook verified Bild’s ticker page. Owen, Laura Hazard. "Axel Springer’s Bild is testing news delivery via Facebook Messenger." Nieman Journalism Lab. Nieman Foundation for Journalism at Harvard, 14 Jan. 2016. Web. 20 Apr. 2019. Owen, Laura Hazard. "Axel Springer’s Bild is testing news delivery via Facebook Messenger." Nieman Journalism Lab. Last modified January 14, 2016. Accessed April 20, 2019. https://www.niemanlab.org/2016/01/axel-springers-bild-is-testing-news-delivery-via-facebook-messenger/.